In previous years, this forum helped raise over £4000 which led to us replacing half the fleet of a Motorcycle Outreach project that has been saving lives in Indonesia for 17 years, and is still going. I am looking for help to fill a suitcase (or two) of CE armour inserts from unused motorcycle clothing! I am appealing on behalf of an organisation in Tanzania that undertakes motorcycle rider and bike maintenance training to improve road safety and achieve social change. "Pikilily" is based in Mwanza and was founded by my good friend, Claire Elsdon. (A previous Tiger 800 rider, she was inspired to set up the enterprise following her solo trip from London to Cape Town a few years ago). One of it's key objectives is to train and support local women riders for a much needed MOTORCYCLE AMBULANCE service for outreach populations. Tanzania has one of the worst maternal death rates in the world partly due to the fact that 90% of the population live in rural areas remote from any clinic and with limited means of transport. A staggering 22 women die every day during childbirth due to causes that could be prevented if they can get to a clinic. Pikilily is working to help reduce this problem by providing trained riders to NGOs who have purchased motorcycle ambulances. It currently needs to provide safety clothing to 6 newly trained riders. The jackets/trousers will be made locally but they need help sourcing the PROTECTIVE ARMOUR INSERTS. So, if you have some discarded bike gear and would be prepared to donate the CE armour inserts for a good cause, then PLEASE get in touch. Equally, if you have any ideas where these materials can be easily sourced, then please let me know. Claire will be in the UK in a few weeks time and will take any materials donated to Tanzania on her return journey. So, if a few generous folk can go to a little trouble, it will help save lives! Any help given would be hugely appreciated. 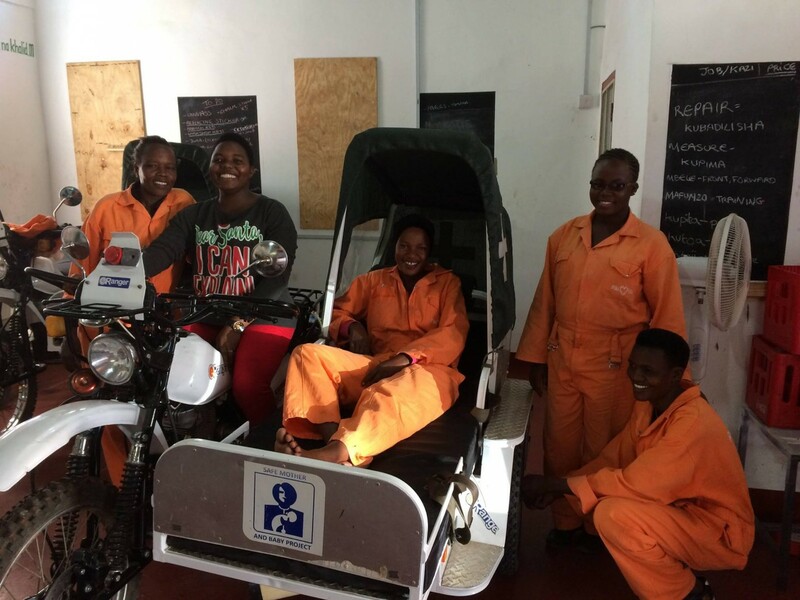 Photo shows a group of Pikilily-trained riders with an eRanger motorcycle ambulance in the Pikilily workshop, Mwanza. Training includes rider skills, motorcycle maintenance, first aid and even self defence. I'm sure I have a few bits and bobs knocking around. I'll check when I get home tonight. I usually bin it when the garment wears out but will look around my garage. Have you tried asking those nice folks at Knox if they can help? I've got a Richa jacket with inserts and a spare back protector, any use ? Took my old gear to Oxfam recently (not the crash tested stuff).